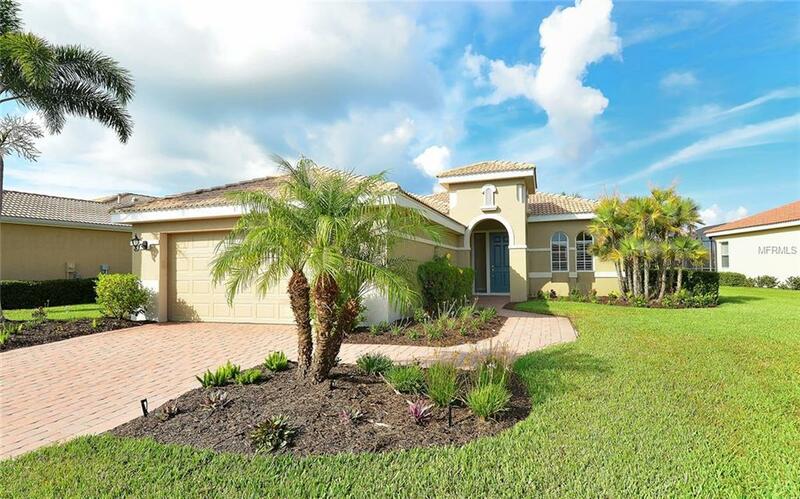 Live the quintessential Florida lifestyle with amazing water views in this maintenance FREE three-bedroom, two-bath Milano Grand Villa . 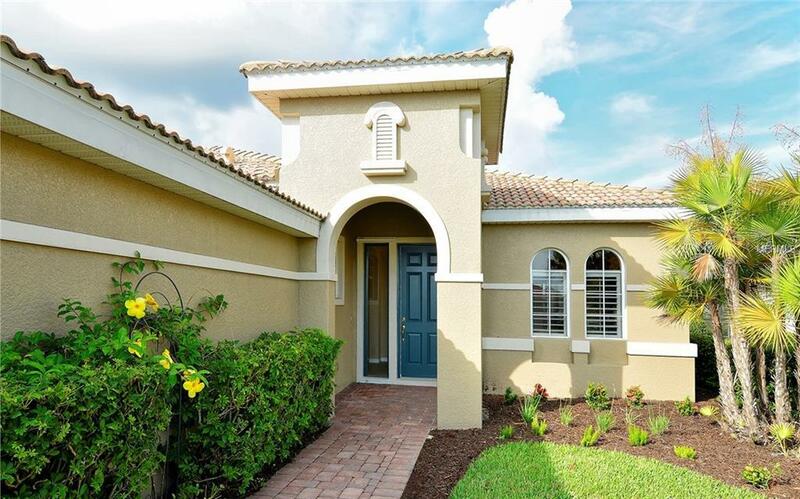 This home and the two car garage have both been extended so you will enjoy 2,135 square feet of versatile living space with many upgrades which include tile laid on the diagonal, tray ceilings, crown molding, plantation shutters, five speaker surround sound and a freshly painted interior. The kitchen features granite counter-tops, stainless steel appliances, gas range and dryer, wine cooler, wood cabinets, breakfast bar and built-in desk. 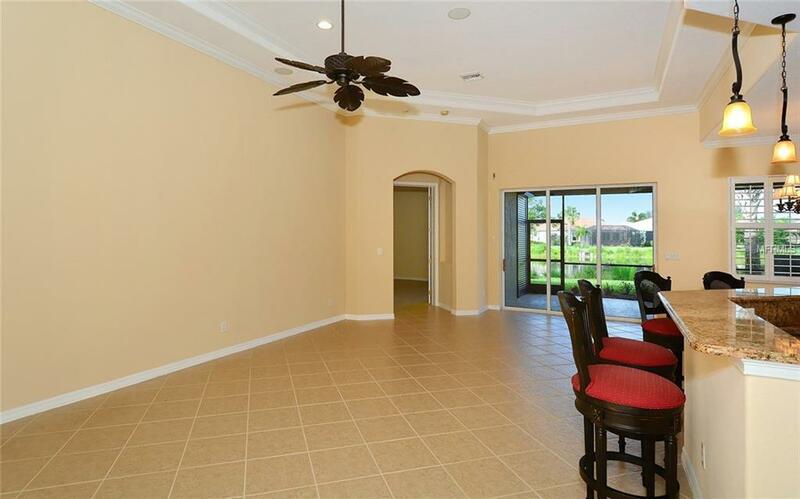 Sliding doors lead to the lanai with gorgeous WATER VIEW and TROPICAL landscaping perfect for relaxing and entertaining while you enjoy FABULOUS SUNSETS. The lanai also has outdoor speakers, motorized hurricane shutter and has been roughed in for an outdoor kitchen and pool. The spacious owner's suite features door to lanai, tray ceiling, crown molding, walk-in closet, garden tub, two separate vanities and glass block window. 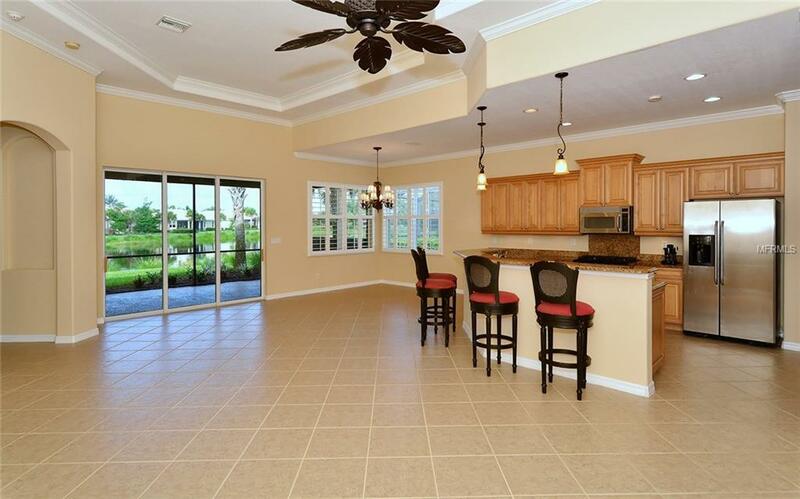 This is a perfect open concept home within a premier community with many fine amenities including a championship 18-hole golf course, large heated community pool and lap pool, six Har-Tru tennis courts, nature trail, first-class fitness center and exercise room. There is also a poolside tiki bar and fine dining at the River Club restaurant and only a short drive to the best Gulf Coast beaches and attractions of downtown Venice.